Victor Sinclair Honey Delight - Buy Premium Cigars Online From 2 Guys Cigars . Who needa an Afternoon Delight, when you can have a Honey Delight any time day? 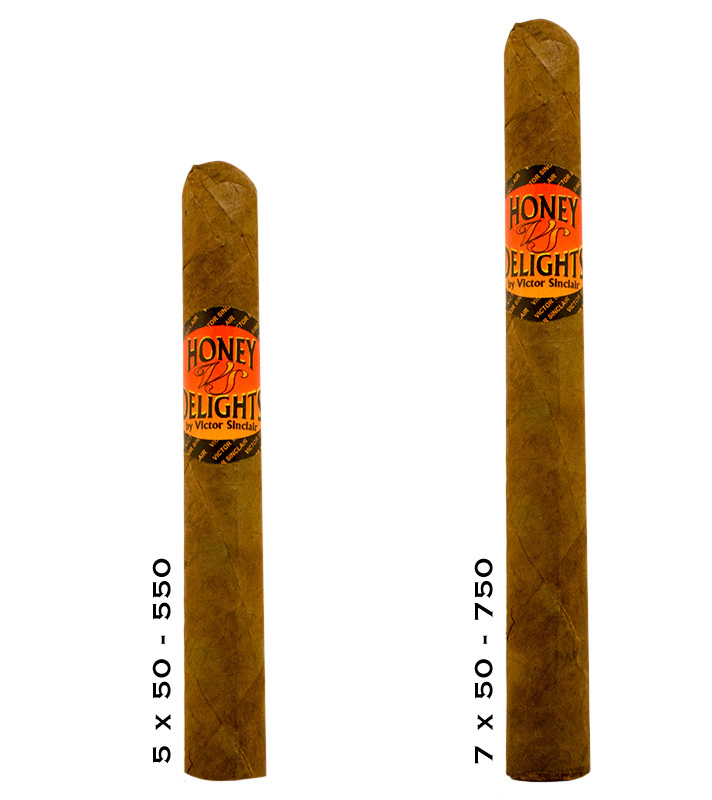 Honey Delights are one of the most popular sandwich cigars in the world that have the taste of honey. It's a value smoke that is perfect to smoke every day. Made by hand in the Dominican Republic with Dominican tobacco the Honey Delight comes in boxes of 25, and this Taste of Honey, will have you boogie oogie oogie all night long!